Whether we’re enjoying it a glass of water, as a salad dressing, over fish, or in a dessert, lemon is a staple in many people’s diets. It’s refreshing, tart, and tangy, and one of the most popular fruits in the world. But can dogs eat lemon? Lemon itself is considered to be toxic to dogs for different reasons. Citrus plants, like lemons, contain citric acid and certain essential oils that can cause everything from depression, to damage to the central nervous system. of a lemon, they could experience an upset stomach, diarrhea, or vomiting. While some dogs may not react negatively to eating small doses of the fruit (aside from a minor upset stomach), you should contact a vet immediately if you know your dog has ingested any part of a lemon. Lemon juice from a fresh lemon can be equally problematic. Lemons and other citrus fruits are a no go for dogs! 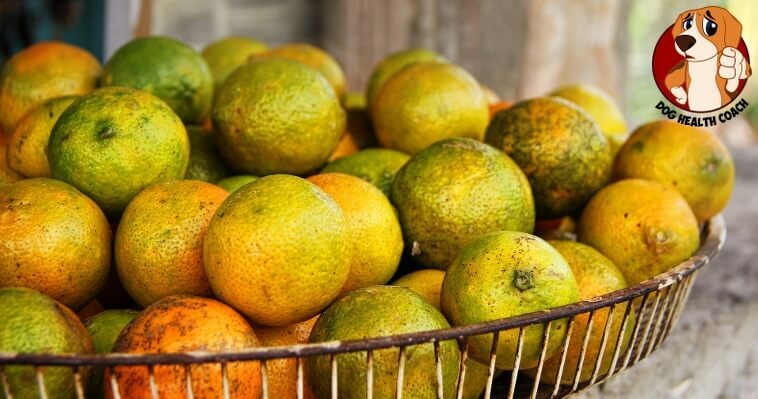 Citrus fruits in general should be kept away from dogs – you may have seen things like viral videos, etc., showing how dogs react to lemons, but it’s very dangerous to offer your dog this fruit, and while some dogs may not show any negative symptoms, it’s simply not worth the risk to offer something that’s so potentially dangerous to your four-legged friend. If you’re interested in giving your dog some fruit as a tasty treat, feel free to check out some of our other posts to see which healthy fruits can benefit them. Since offering your dog lemon isn’t a good idea, which fruits do you like to give your dog as a treat? Let us know by leaving a comment below, so others might get some new fresh fruit ideas!